The rich blend of enzymes, co-enzymes and vitamins in Multi Zyme increases nutrient uptake and accelerates growth in 3 key ways. Thickens the cambium layer – the plant’s internal plumbing system. This boosts the immune system and creates more flowering sites. Dissolves old roots – to provide an additional food source and create space for healthy, productive new roots. Breaks down base nutrients – into ready to use micro nutrients which plants find easier to take-up and use. 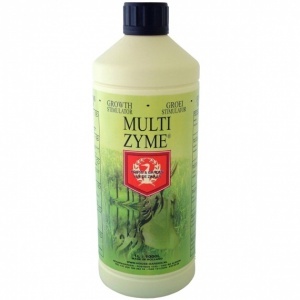 Dilution: 1ml Multi Zyme to 1 litre nutrient solution. 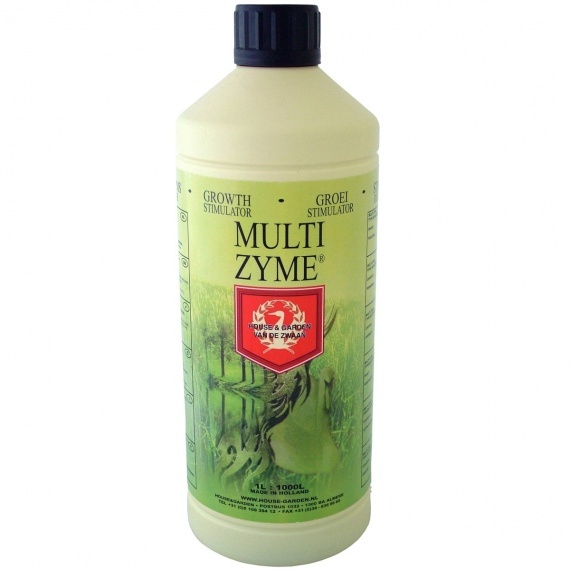 Multi Zyme can be used from transplanting all the way through the grow.